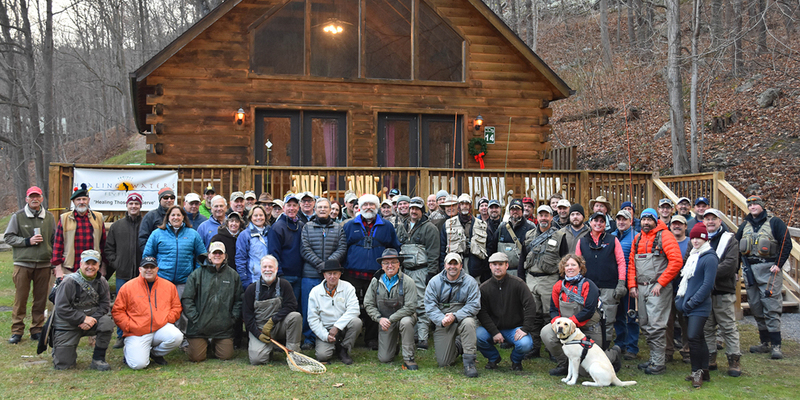 FORT BELVOIR, Va. (Dec. 9, 2016) — More than 70 veterans, volunteers and support staff attended Project Healing Waters Fly Fishing (PHWFF) Sixth Annual Fly Fest Dec. 2-4. 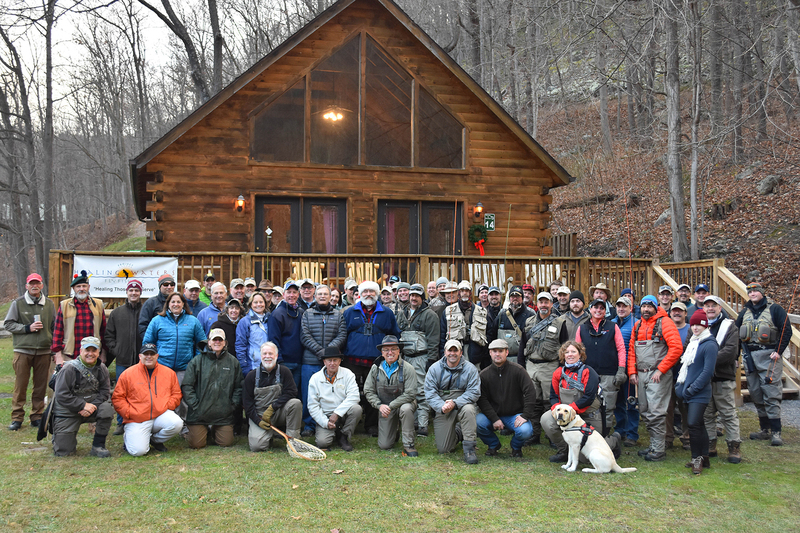 This annual event gives veterans and disabled service members an opportunity to fly fish with volunteer guides at Harman’s Luxury Log Cabins in Cabins, West Virginia. 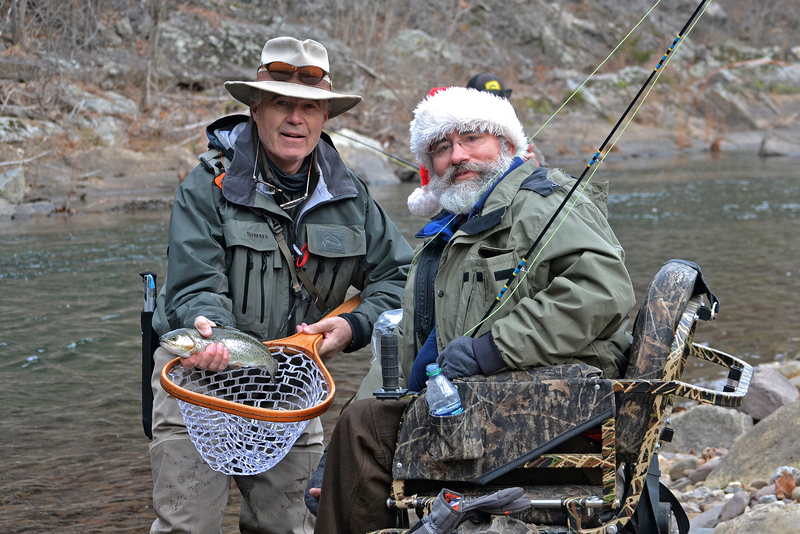 PHWFF is a private, nonprofit program dedicated to the physical and emotional rehabilitation of disabled military service members and veterans through fly-fishing education and events. The program provides fly-fishing clinics for all skill ranges and to those who are adapting their skills to their new abilities. It also teaches participants casting techniques as well as how to tie flies and build rods. All fly fishing and tying equipment is provided to participants at no cost. Single and multi-day fishing trips are also provided free of charge. Bob Gartner, program lead at Fort Belvoir, has been volunteering for PHWFF since 2010. “Our program has grown over the years, and now we get about 25-30 people at our weekly meetings,” he said. “We meet on Mondays at the USO building from 6:30 to 8:30 p.m., and welcome everyone who is interested in learning about fly fishing.” The Fort Belvoir group has 14-16 fishing trips a year, and frequently pairs up with the program at Marine Corps Base Quantico to give veterans and active service members more opportunities to participate. The Quantico program was the host for the annual Harman’s event. PHWFF was established in 2005 by Ed Nicholson, avid outdoorsman and retired Navy captain. In 2004, Nicholson was being treated for cancer at Walter Reed Army Medical Center, where he witnessed first-hand men and women who had returned from war with life-changing injuries. Seeing the disabled service members struggle physically and emotionally with their new lifestyle, he was inspired to help any way he could. As a passionate fly fisherman, Nicholson understood the therapeutic powers of nature and wanted to get the patients out of the hospital and on the river. 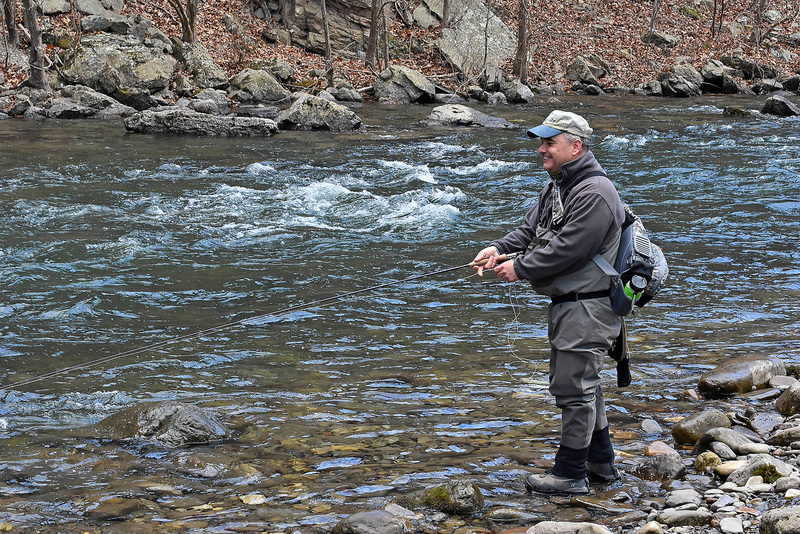 He started the first PHWFF program at Walter Reed and used his passion for fly fishing to give patients a new way to help cope with post-traumatic stress disorder (PTSD). Over the past decade, Nicholson and his work with PHWFF has gained national attention, including his selection in 2009 as a CNN Hero. According to the Department of Veterans Affairs, about 11-20 percent of veterans who served in Operations Iraqi Freedom and Enduring Freedom are diagnosed with PTSD each year. PTSD is a serious condition that can develop after a person has experienced or witnessed a traumatic event. PHWFF currently has over 206 operational programs serving disabled veterans and military service personnel from all 50 states and Germany. Each program is managed at the local level by volunteers who work with Department of Veterans Affairs’ facilities, DOD military installations, Warrior Transition Units and other institutions. In 2015, more than 200,000 hours were donated by over 3,500 PHWFF volunteers. Thanks to their efforts, more than 7,400 disabled veterans and military service personnel were able to participate in PHWFF program activities. If you or someone you know is interested in participating or volunteering for PHWFF, please contact Fort Belvoir program lead, Bob Gartner, at bgartner3@verizon.net or (202) 494-5778 and follow the local programs on their social media pages at https://www.facebook.com/BelvoirPHW/ and https://www.facebook.com/QuanticoPHW/ .